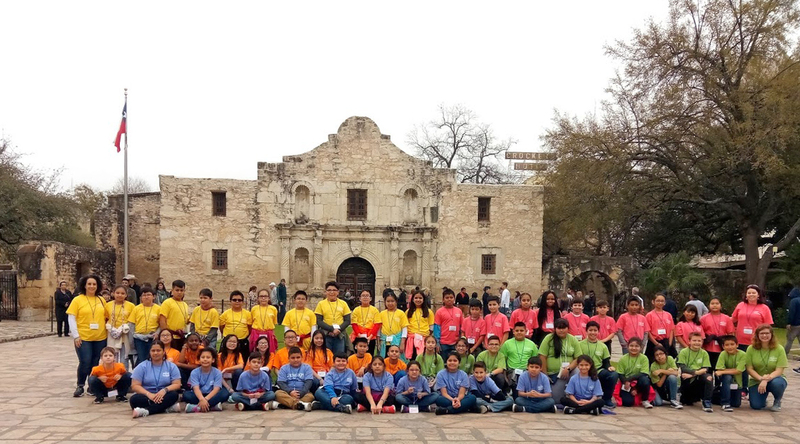 Fourth-graders from Birdville ISD’s Francisco Elementary traveled to Austin and San Antonio on an Education in Action Discover Texas Field Trip March 1, 2019 to experience what they are learning in fourth grade Texas History. Students visited the Texas State Capitol, The Alamo, and The Witte Museum. During the charter bus ride to Austin, students discussed why Texans are so proud of their unique heritage and participated in activities and games in preparation for their day. In Austin the students visited the Texas State Capitol where their legislators, The Honorable Kelly Hancock, State Senator, District 9 and The Honorable Stephanie Klick, State Representative, District 91, office. Students saw first-hand where Texas laws are made as they toured the State Capitol including the Senate and House of Representatives chambers. 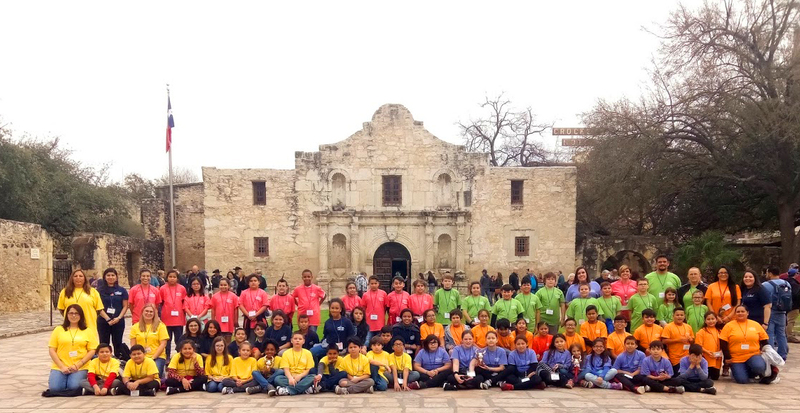 Students then traveled to San Antonio where they toured The Alamo, one of the most famous missions in the United States, and learned about the Battle of the Alamo’s role in the Texas Revolution. At the Witte Museum students experienced how the people of the lower Pecos region lived long ago through a variety of hands-on activities including creating rock art to simulate the narratives, the people created on rock shelter walls, processing the lechugilla plant for its fiber, and using atlatls to “hunt” deer. 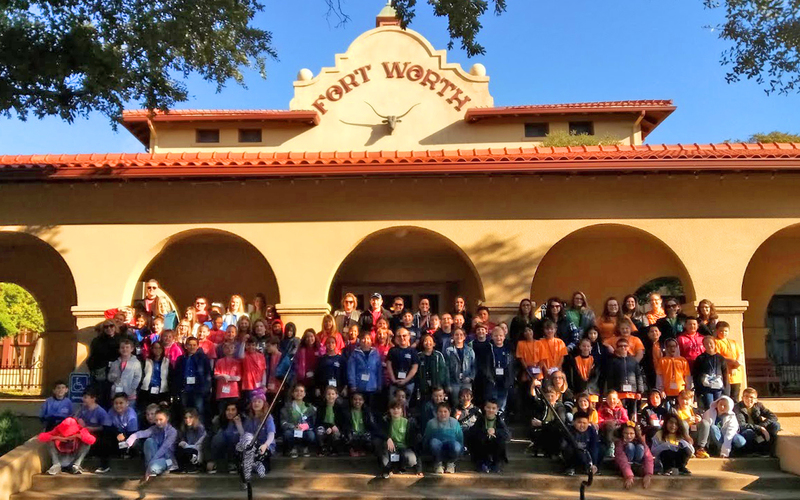 Fourth-graders from Birdville ISD’s David E.Smith Elementary traveled to Austin and San Antonio on an Education in Action Discover Texas Field Trip February 21, 2019 to experience what they are learning in fourth grade Texas History. Students visited the Texas State Capitol, The Alamo, and The Witte Museum. During the charter bus ride to Austin, students discussed why Texans are so proud of their unique heritage and participated in activities and games in preparation for their day. In Austin the students visited the Texas State Capitol where their legislators, The Honorable Kelly Hancock, State Senator, District 9 and The Honorable Stephanie Klick, State Representative, District 91, office. Students saw first-hand where Texas laws are made as they toured the State Capitol including the Senate and House of Representatives chambers. Students then traveled to San Antonio where they toured The Alamo, one of the most famous missions in the United States, and learned about the Battle of the Alamo’s role in the Texas Revolution. At the Witte Museum students learned about ‘chuck box cuisine from ‘Cookie’, a historical reenactor straight from the trail, and explored interactive exhibits and historical artifacts to learn about daily life, the changing landscape, and earning a living in 1800s Texas. Thank you to the 878 individuals who read in 676 Birdville ISD (BISD) K-8 classrooms as part of World Read Aloud Day on Feb. 1. We appreciate you taking time to model to our students the importance and joy of reading. World Read Aloud Day is celebrated by millions of people in more than 100 countries. This event calls global attention to the importance of reading aloud and sharing stories. 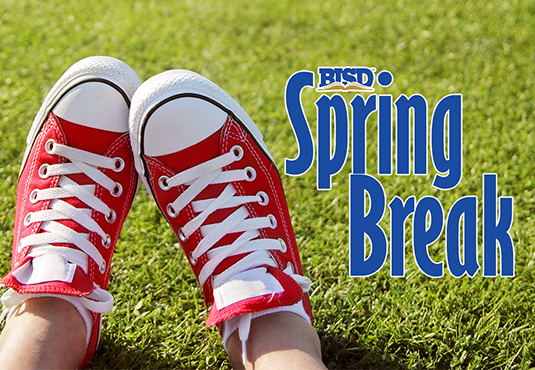 This event was celebrated by elementary and middle schools across the District.